While the nights are still in the lower 50's here in North Central Florida, the days have heated up to the mid-to upper 80's - warm enough for seed germination. It's well past time for us to to get some seeds planted in our garden, so Sunday we planted Summer Squash and Carrots seeds in our raised beds. ...using Pure Black Castings and VermaPlex , giving your seeds a wonderful jump-start. Rake back mulch from bed. 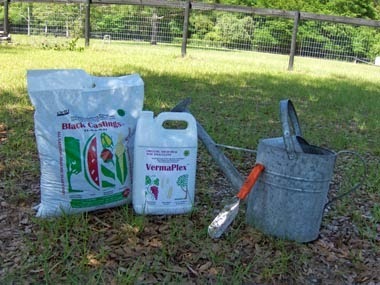 Mix compost into garden soil. Mix in watering can a 20:1 mixture of water and VermaPlex. After making an indention in the spaces marked in the soil, we placed a small amount of Pure Black Castings in the bottom, and wet it with water/ VermaPlex mixture . We then placed 3 or 4 Squash seed on top of the castings. We covered the seed with 1/2 inch soil and castings, watered in with the water/VermaPlex mixture, then piled back the mulch lightly to prevent moisture loss. 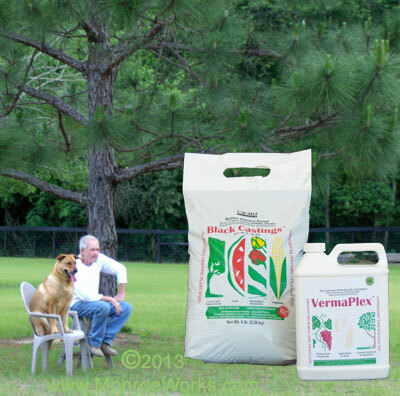 The VermaPlex inoculation is important: it speeds up seed germination and puts microbes into the soil. 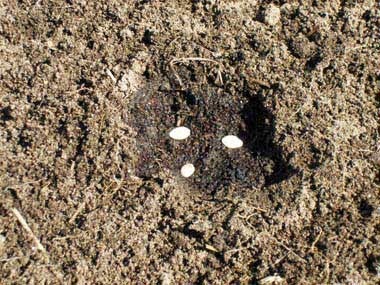 The nutrients are slowly released from the Pure Black Castings and soil, feeding the plant as it emerges. 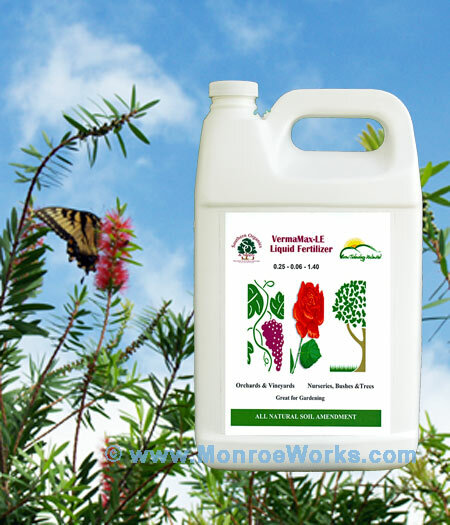 No need to worry about the hot fertilizers you're warned away from in most seed starting instructions. 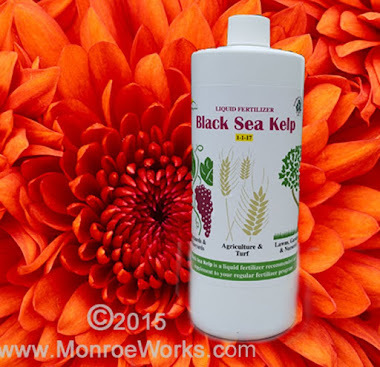 The slow release of the Pure Black Castings is just what the young plants will need. We'll need to check under the mulch daily to see if the seeds are sprouted. 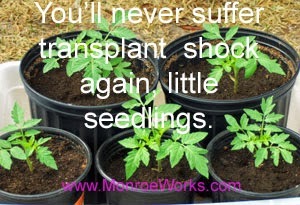 By keeping them covered, we won't have to water, risking the seeds floating away in our soft sand. 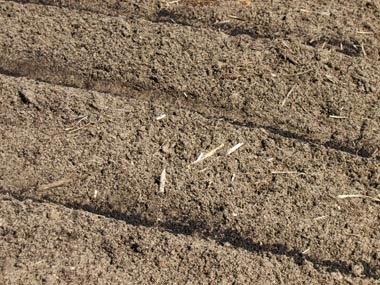 For the carrot seeds, we made a 1/4 inch row-indention in the soil with the rake handle. After lining the row with castings and watering in with the water/VermaPlex mixture, we spread out the tiny seeds along the row, covered with soil/castings, watered carefully with the water/VermaPlex mixture, then finished with putting the mulch back. How long will it take? 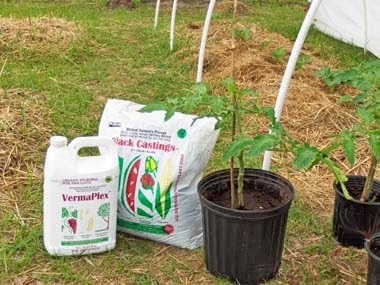 We've noticed when we plant seeds indoors, since using VermaPlex, our Tomato and Pepper seeds have germinated much sooner that the package states. Our Tomato seeds germinated in 3 days (the packet says 7-10 days) and the Pepper seeds germinated in 4-5 days (the packet says 10 - 14 days). We'll check the Summer Squash seeds and the Carrots seeds to see how soon we get germination and if there is an improvement. Next .... Can These Bamboo Plants Be Saved?